Are You a Sprint or Marathon Nonprofit? 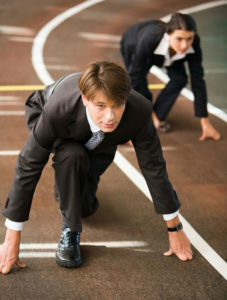 Is your nonprofit running a Sprint or a Marathon? Beware – you might be running a Marathon as if you are running a Sprint. Is your staff compensated above the seventy-fifth percentile for their positions in comparable organizations? Do you regularly budget for and produce annual financial surpluses? Is work – life balance encouraged by leaders and practiced by most employees? Do you regularly budget for and spend funds on “infrastructure” like technology? Do all employees have a professional development plan which includes funding? If you answered NO to all five of these questions, then your organization is definitely running a Sprint. If you answered YES to all five, then you are running a nicely paced Marathon. Can those you serve afford for you to be running a Sprint, when you should be running a Marathon? If you take a short term view of your mission, then you use that to justify why you are going all out right now in everything you do. But you then run the risk of burning your people out or losing them to better run “Marathon” organizations or bankrupting your organization. Or maybe worse, you end up doing low quality work which really doesn’t help anyone. It’s hard. You have a sense of urgency for your organization’s mission. But if – like most nonprofits – your mission addresses a protracted issue, then you need to blend your sense of urgency with a sense of responsibility for the long term thriving (beyond just surviving) of your organization. And that’s making a true Mission Impact.